I said Psalm 91 as a daily prayer when I lived with very severe Myalgic Encephalomyelitis. Well, to be accurate I didn't say all of it. I had minimal use of my arms so I couldn't always reach out for a Bible. 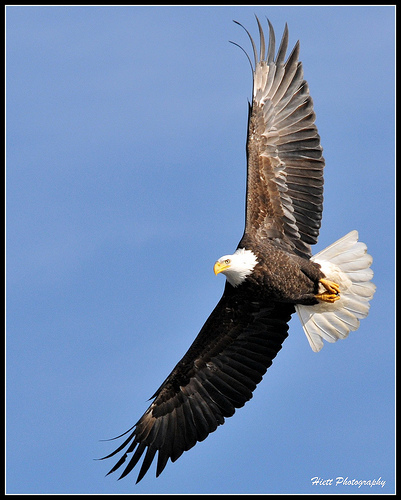 Click on this link to buy a version of the eagle image above as a customizable Psalm91 Greetings Card. If you came here looking for the words to Psalm 91, please scroll down. I include an adapted version suitable for a psalm prayer to call protection specifically into your own life. Below the adapted version you will find the original words, if you wish to read them. I was in a situation where I couldn’t speak or move much and I didn't have someone I could rely on to advocate for me. Life was not safe. I was totally dependent on others. And others were not necessarily dependable. In terms of care, I was living in London (UK) and depended on council care. There were some wonderful carers. But there were many who weren’t wonderful. I never quite knew who was going to walk through the door, or how they would treat me. Even if a carer had the best of intentions, I was so ill that, without training, it would be weeks before someone could look after me in a way that did not cause me unnecessary pain. I needed to know there was a source of strength and protection available beyond myself. I trained my mind to say Psalm 91 each day as a prayer for strength and a prayer for protection. Saying this psalm prayer was part of my commitment to developing the belief that - on some level - I am, and can never be other than, safe. The part of the psalm about being protected by angels is especially comforting to many people. As with some other famous prayers, such as the Prayer to the Holy Spirit, I changed the psalm to make it more personal. I turned Psalm 91 into a psalm prayer in which I talk directly to God and claim protection over my circumstances. (I said up to here with a few lines from beneath - there are some lovely lines, but I had trouble remembering more than this! He delivers me, and honours me. You can buy a Psalm 91 Prayer poster with these words in my zazzle HealingStore. The poster is available in many different countries and in various sizes. my God; in him will I trust. but it shall not come nigh thee. the young lion and the dragon shalt thou trample under feet. because he hath known my name. I will deliver him, and honour him. 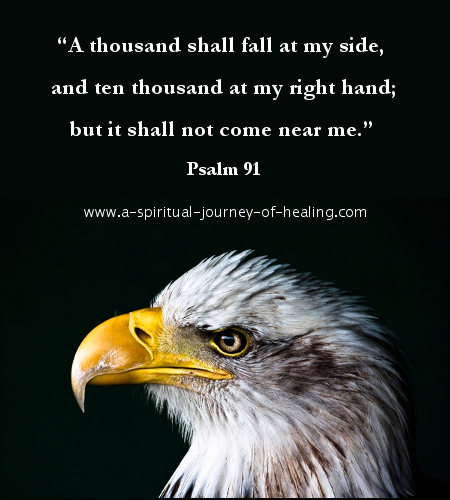 You can buy a Psalm 91 poster with all the words in my zazzle HealingStore. Yes, I was dependent on people who could not or would not look after me well. But, in reality, I was and am also living somewhere else. Psalm 91 tells me I am always only ever a shadow’s distance away from God. Whatever is going on for you right now, know that your reality remains the same. On some level, you are not who you seem to be. You are not where you seem to be. Perhaps you will first have moments of peace, regardless of the circumstances. Perhaps later you will have a change in those circumstances. The meaning of the Psalm 91 prayer is that God is our home. If we ever have been or ever will be in God, then that is where we are right now. It is not for God to change. It is for us to change our minds – to accept the reality of God’s love until our lives become transformed. In another article, I consider how this psalm prayer can be used to claim your strength in God. If you are using this psalm as a prayer to overcome fear, you may be interested in this article: Allow God to love you in a time of fear and thereby move from fear to faith. Return to read the full List of Prayers on www.a-spiritual-journey-of-healing.com.